late Hon. 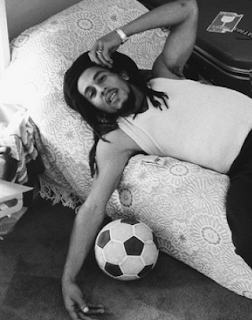 Nesta aka Bob Marley has amassed enough wealth to be ranked No.5 on Forbes list of Top-Earning Dead Celebrities for 2012. Marley’s wealth was not made by album sale, but rather through Marley’s Mellow Mood a beverage company and House of Marley (producer of Eco-friendly audio and lifestyle products) to his portfolio. Forbes compiled the ranking by analyzing the dead celebrities' earnings between October 2011-2012 Below is the complete list of highest earning dead celebrities. Elizabeth Taylor $210 million Michael Jackson $145 million Elvis Presley $55 million Charles Schulz $37 million Bob Marley $17 million John Lennon $12 Million Marilyn Monroe $10 Million Albert Einstein, $10 Million Dr Seuss, $9 Million Steve McQueen, $8 Million Bettie Page, $8 Million Richard Rogers, $6 Million George Harrison, $5.5 Million.